IRVINE, Calif. - Oct. 30, 2017 - PRLog -- Interested in meeting early-stage accredited investors in Southern California? 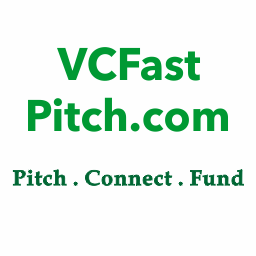 Then register for the Orange County Venture Capital Fast Pitch Conference (VCFastPitch.com) to be held on Thursday, November 30, 2017 at from 10 a.m. to 4:00 p.m. at The Beach at UC Irvine 5141 California Ave Ste 200 Irvine, CA. The event is hosted by Black Dog Venture Partners. The Venture Capital Fast Pitch Conference will continue their sold-out series where they bring in local and out-of-town investors to judge the pitches of early-stage companies looking to raise capital. They have investors from Silicon Valley, Southern California and throughout the country where they will introduce them to entrepreneurs and discuss what it really takes to get them to write you a check! The first 25 entrepreneur attendees to sign up will also get the option to pitch their business idea in 60 seconds in front of the investor panel and receive feedback and a possible investment. Along with the pitch competition, there is an educational and networking component to the event. All attendees will be gaining an understanding of what investors are looking for in the Southern California market and what our entrepreneurs are building. .
Black Dog Venture Partners CEO and event host, Scott Kelly, commented, "We have put together a great panel of investors to Orange County. The Orange County Venture Capital Fast Pitch Conference is expected to not only sell out, but also lead to many success stories." The Orange County Venture Capital Fast Pitch Conference is pleased to have OCTANe and Hool Coury Law as sponsors. Vendor and event sponsorships are also available. For more information, contact Scott Kelly at scott@blackdogventurepartners.com or 480-206-3435. Black Dog Venture Partners provides venture capital consulting, corporate finance, business development, digital marketing and publicity for regional and national brands and fast-growing companies. Black Dog's team has a long history of success in the entertainment, sports, technology and finance industries.